Use TimeToTrade to execute trades, or notify you, by Email or SMS when your Price, Candle Stick Patterns, Trend Line, Volume and Technical Analysis chart conditions and chart patterns are met - without having to know how to code. 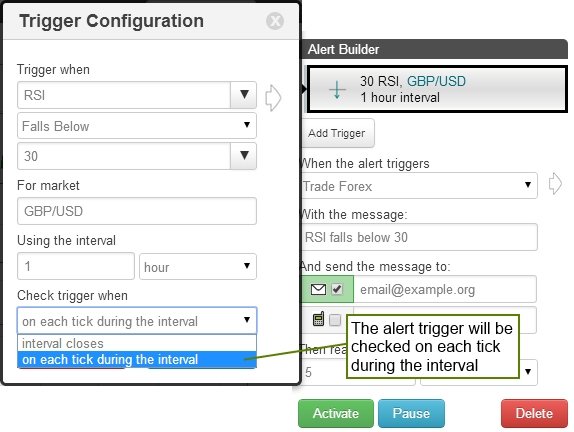 You also use alerts to execute your trading strategies. You don't need to keep checking the market every few minutes to track what is happening to your Share or Forex prices. TimeToTrade will do the work for you, watching the market, so you don't have to ... and when it's time to trade, we'll let you know! 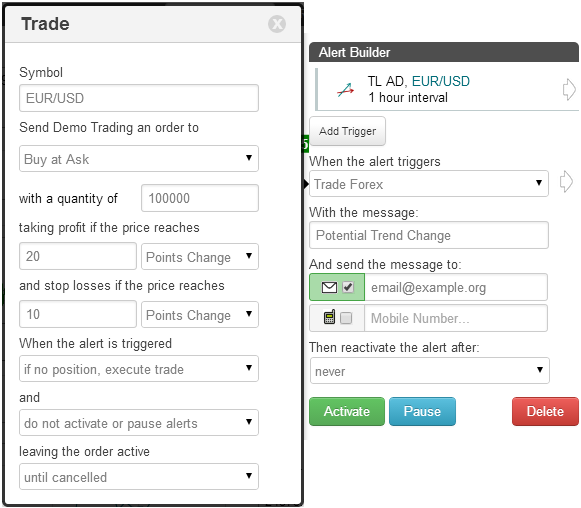 To create an alert, go to the TimeToTrade Charts page >> and enter the ticker symbol for the stock or currency pair that you wish to follow. 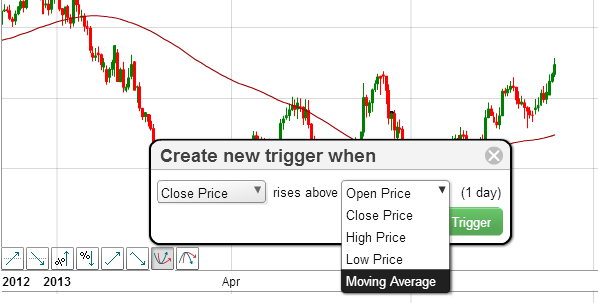 To create an alert, just click on the Alert Trigger Buttons next to the chart. There are no programming languages to learn, no macros or complex formulas for you to write. 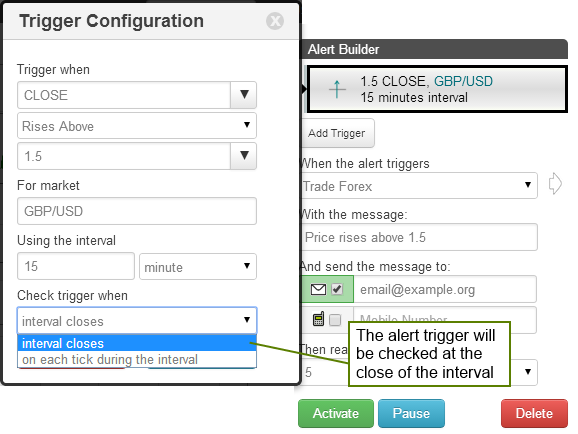 Just click a button, enter your parameters, "activate" and your alert is created. Simple! It is FREE to open a TimeToTrade Demo account. You can have up to 10 FREE price or technical indicator alerts active at any one time when you set up a TimeToTrade Demo account. These alerts can be sent to your email account. 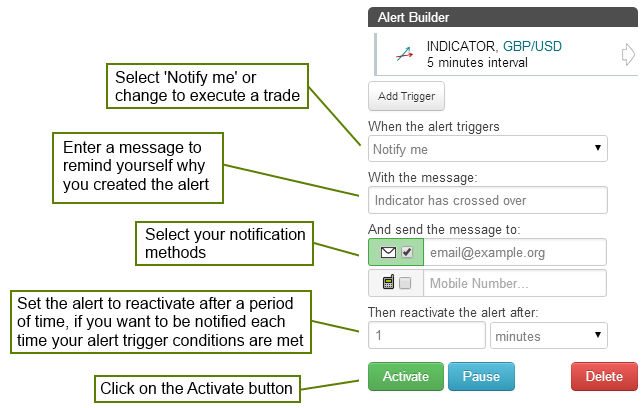 To receive SMS alerts to your cell phone, or have more than 10 active alerts, you will need to open a Trading Account. Click here to open a FREE TimeToTrade account today... and never miss another trading opportunity again!